Wes Fleming’s Chelsea-inspired garden at ‘Somerfield’ in Melbourne. 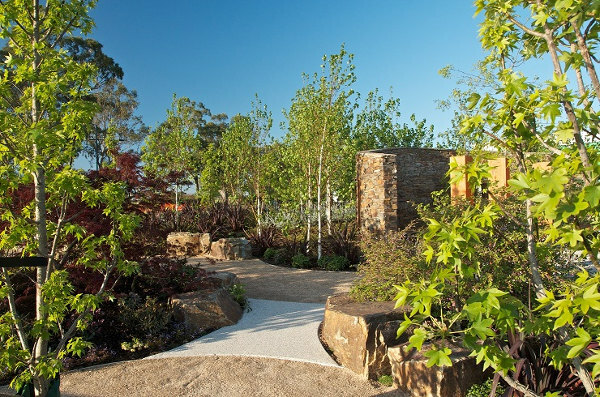 Nine-time ChelseaFlower Show veteran and winner of Australia’s only ‘best in show’ medal in the historic event’s 100 year history, Wes Fleming knows a thing or two about creating show-stopping gardens. From dramatic plunge-pools and outdoor bathtubs to relaxed outdoor dining and sculptural outdoor art, new landscaping and design trends are formed at Chelsea. “Plonk Gardening” – don’t overthink the location of plants too much and don’t be afraid to mix and match within a garden bed. Rather than strive for perfection and symmetry, for a more natural look simply ‘plonk’ plants down in the garden bed still in their pots and stand back – if it looks good, then plant. 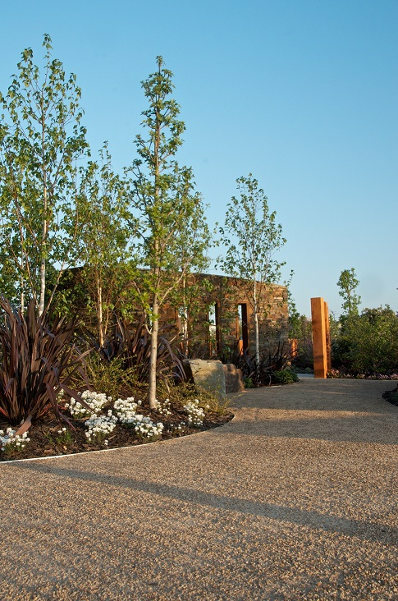 Use a mix of evergreen, flowering, autumn colour and feature trees to create a stunning array of texture and colour that will change with the weather and take on a different character with each turn of the season. Reserve a good budget for planting – the plants will pay you back in spades as they mature and in turn increase the value of your home. Use colour to layer – use deep purple foliage as a backdrop, fading to brighter tones and silver foliage plants as the top layer of planting. Use low growing and spreading plants as ground cover, rather than mulch or bark. 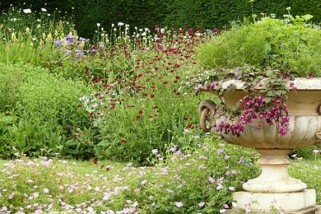 This will create a more full-bodied garden with lots of different plants, colours and textures. 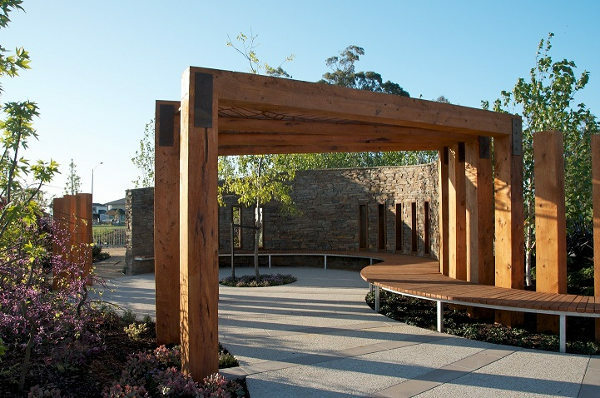 Create interest and structure to your garden with a touch of ‘hard’ landscaping –wooden beams or decorative screening make for a dramatic addition to any garden and help balance the ‘soft’ and ‘hard’ landscaping elements. Be creative with exterior lighting. Accentuating mature trees or feature points in the garden with up-lighting can look incredible at night and ensure your garden is a focal point both day and night! Wes Fleming is one of the country’s most well-known horticulturalists and the managing director of Fleming’s Nurseries. 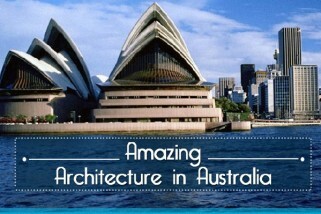 In 2013, Wes achieved a lifetime goal when his team of Australian gardeners and designers achieved ‘Best in Show’ at the world-famous Chelsea Flower Show in London, representing the first time an Australian garden had been awarded with the prestigious honour in the show’s 100 year history.